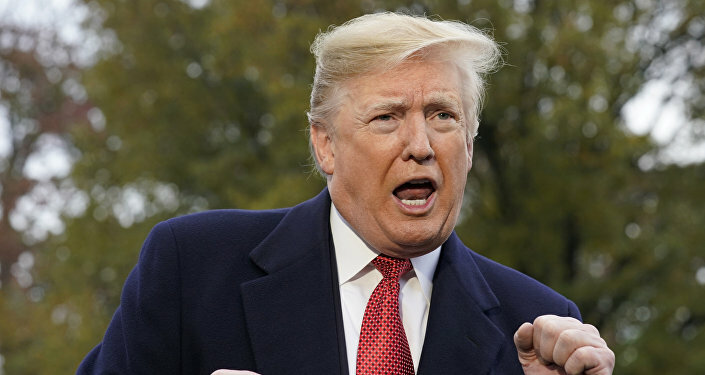 The US and China have made a step in the right direction by announcing a 90-day truce in their tariff war, CCTV commentator and editor Tom McGregor told Sputnik, suggesting that Donald Trump had nothing to do with Huawei chief financial officer Meng Wanzhou’s arrest. The US-Chinese truce was "amazing" and is "the best deal possible", considering the circumstances, says a Beijing-based political analyst and senior editor for China's national TV broadcaster CCTV. "In a previous Sputnik interview, I explained the differences between a hard and soft bluff and in this instance, [Donald] Trump was doing the soft bluff, meaning requesting Beijing make necessary changes, so he would not have to implement higher tariffs at the start of 1 January, 2019. And in return Beijing has agreed put forth greater efforts to narrow US-China trade imbalance and has already made immediate purchasing orders for US soybeans and liquefied natural gas (LNG)", the journalist elaborated. According to McGregor, over the next three months one can expect "a dramatic change in trade figures with US exports to China soaring, which will result in Trump holding off on tariffs for much longer". 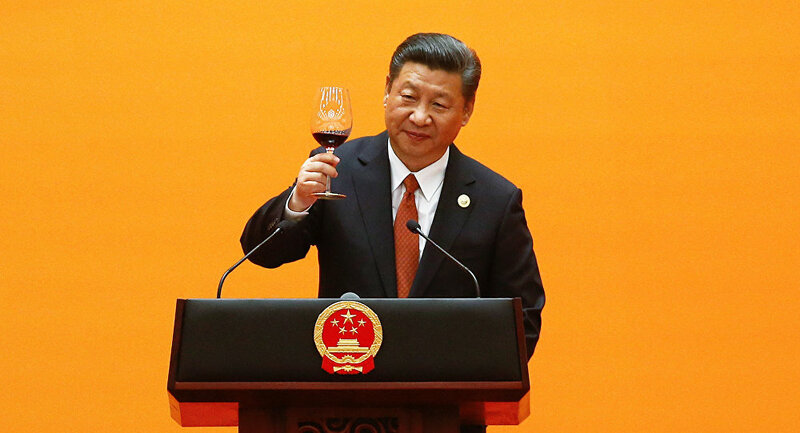 The Beijing-based political analyst does not rule out that China may go even further and make adjustments to its economy, create mechanisms to avoid unfair tech-transfers, protect IP (intellectual property) rights, and open its markets to more US investments. However, commenting on the negotiations between Donald Trump and Xi Jinping, the left-leaning American MSM referred to the seeming ambiguity of the US-Chinese agreement, saying that the Chinese were "puzzled and irritated" by Trump's bravado in Twitter following the talks. Statement from China: “The teams of both sides are now having smooth communications and good cooperation with each other. We are full of confidence that an agreement can be reached within the next 90 days.” I agree! — Donald J. Trump (@realDonaldTrump) 7 декабря 2018 г. 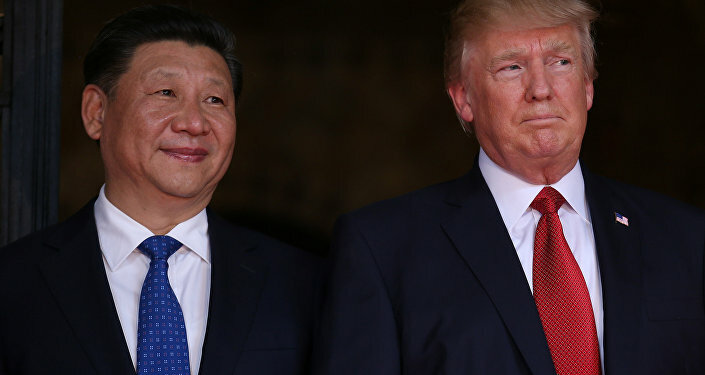 ​The journalist has dismissed it as "bogus nonsense": According to him, "Chinese trade officials are even more happy with the trade truce than Trump is, because higher tariffs would have destroyed their nation's economy at the start of 2019". ​"They dodged a big bullet there and they are happy to see Trump take credit for the truce, so that the Chinese might not think they had negotiated from a weak hand", the journalist presumed. "By feigning to be annoyed by Trump, they are just pretending they are still fighting Trump, to save face in China. The Chinese in general love the trade truce too. It's a big deal and the Chinese will make sure they can narrow US-China trade deficits coming soon". Commenting on the timing of the US-Chinese truce, McGregor stressed that it was "the best" one — "right before Democrats take control of the US Congress and start causing much mischief for Trump White House". But what if China rejected Trump's offer? In that case "Beijing will lose out and Trump returns to acting like 'Tariff Man' all over again", the commentator presumed, adding that there will be no winners in this "war". "US agriculture was hard hit by China's soy ban and soon the Chinese will make huge orders of soy and we can expect US beef to arrive in China as well", McGregor believes. "Additionally, LNG shipments will lead to a rise in oil and gas prices, which boosts the US energy markets, big-time". Earlier Trump threatened Beijing that the US was "either going to have a real deal with China, or no deal at all". We are either going to have a REAL DEAL with China, or no deal at all — at which point we will be charging major Tariffs against Chinese product being shipped into the United States. Ultimately, I believe, we will be making a deal — either now or into the future…. However, there is one episode that cast shadow on the truce deal: It's the arrest of Huawei's chief financial officer Meng Wanzhou in Canada at the request of US law enforcement officials. Ian McLeod, a spokesman for Canada's Justice Department, specified that Meng was taken into custody in Vancouver on 1 December and sought for extradition to the US. It is not clear what the Huawei senior executive is charged with. According to The New York Times, Meng "faced unspecified charges from the Eastern District of New York". It was also reported that this year Huawei came into the crosshairs of the US Justice Department over the potential violation of economic sanctions against Iran. Meng's arrest coincided with the signing of the truce agreement by Trump and Xi. In addition, she is not only a Huawei top official, but also the daughter of the company's founder. The case has prompted a lot of speculations including suggestions that Meng was "taken hostage" amid the US-China trade war. However, according to McGregor, this arrest could be arranged by Trump's antagonists, or "the deep state", to throw sand in the gears of the deal. He noted that her detention was requested by the United States District Court for the Eastern District of New York, traditionally a Democratic state with strong opposition against Trump. The journalist expressed doubts that the US president had ordered to arrest Meng, as it would have amounted to shooting himself directly in the foot. While the circumstances surrounding the Huawei executive's arrest remain unclear, Axios quoted James Lewis, director of technology policy at the CSIS think tank, as saying on 6 December that "Huawei is one of the Chinese government's pet companies", and that "they will retaliate and China will take hostages". On 6 December, Chinese foreign ministry spokesman Geng Shuang lambasted Washington for Meng's arrest, qualifying it as a "violation of human rights". "Detaining a person without providing an explanation has undoubtedly violated her human rights", Geng stressed, specifying that Beijing had sent clear signal to both the US and Canada over the case.